Slip-on shoes have a reputation as being one of the more casual men’s shoe designs, however as with many things in life there is so much more than meets the eye with these deceptively simple designs. Depending on both the style and the material, slip-on shoes can be an extremely versatile design, as equally at home paired with swimming shorts and a beer, as with smart trousers and a cocktail. This makes them uniquely practical but also stylish. After all, try wearing a Brogue on the beach – it’s not the best look! At the same time, if you need a genuine combination of style and comfort then we have you covered. MULO shoes are designed for the modern man and the world he finds himself in today. We blend superior craftsmanship and high quality materials with premium construction to deliver quality pieces with a tailored approach. We keep an eye to the past, recognising design elements that have worked for decades – centuries even – and simply updated them for a modern world. All of our styles, for example, are built on an Oxford Last sourced from Northampton to provide a formal fitted shape. At the same time we apply techniques usually found in high-end athletic shoes. This gives our slip-ons the added flexibility and comfort you wouldn’t normally expect of this style. 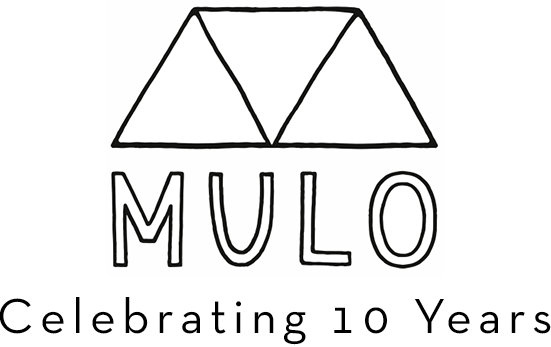 With an understanding of how MULO’s are different, your next choice is the style. We have spent time curating a range to suit any outfit or occasion. Please let us walk you through the styles, along with the typical situations we feel each shoe will be most at home in. The Espadrille is a true design classic and genuine summer essential. Our updated and re-designed version brings both contemporary style and comfort to your warm-weather wardrobe. The Espadrille is a great match with jeans, swimmers and shorts, making it the perfect accompaniment for any casual, summer outfit. At the same time, the classic lines of this design can bring the beach to the boardroom, as these shoes pair easily with many suit styles, especially linen – making it your summer wedding secret weapon. Constructed of a mixture of lightweight linens for cool breathability and suede for elevated style, they are a perfect blend of form and function for any summer situation. We may all want to be on vacation everyday but sadly that can’t happen. We know your life is busy, and when you finally get some free time you need to make the most of it. Even if it’s just grabbing a drink after work your time is precious, a fact we recognise. That is why we built our loafer with a classic, everyday design that is an effortless blend of comfort and style. You want to look your best but you don’t always have time to worry about every aspect of your appearance. Bridging the gap between casual and dressy, our loafer is a perfect shoe to slip on and belong – it is a true off duty staple. What is the worst part of a vacation, apart from the part when it ends? The travel. But you can take steps to minimize the discomfort by picking up our innovative foldable-heel loafer. Designed with the frequent flyer in mind, this design incorporates two styles in one, with the flexible back either pushed down or upright. An unstructured design and super soft materials provide pure comfort and if you decide to pack them rather then wear them, they fold flat for easy carry on. So when you need to pack light, these shoes provide the valuable trick of carrying your style from daytime casual all the through to evening high style, making them a valuable addition to your vacation wardrobe. To look stylish with no effort is the ultimate ideal when it comes to fashion and footwear. It was with the lofty intention of meeting those high goals that we set out to design our Moccasin slip-ons. The design is formal enough to be a real occasion shoe, but different enough to stand out. The classical styling is sufficient to dress up even the simplest outfit, helping you easily elevate casual clothes to suit any setting. The high quality materials that are the signature of all MULO designs are of course present here too, making for a shoe of supreme comfort, whilst maintaining all the looks of a shoe well at home in any dressed up occasion. We all need our downtime, and for yours we present this simple, but elegant design. Marrying comfort with subtle sophistication, this is the perfect slip-on for lazy lounge time when you still want to look your best. The high-end structure and materials you expert from all MULOS slip-ons is combined here with incredibly comfortable natural shearing lining for footwear that ticks all the boxes as the perfect downtime slip-on. So whether parked under the kitchen table for a lazy Sunday breakfast or keeping your feet warm on a cold winter evening, these truly are the slipper choice for the modern man. They even have the strength in materials and construction to be worn outside. You can throw them on to run to the shops for the weekend papers that’s fine, but we take no responsibility if you find them so comfortable you start wearing them to office. After all, for a slipper this good why wait for the weekend? The slip-on shoe is as easy to wear as they are to put on. With our innovative construction and clean elegant designs, our goal is to create footwear you can effortlessly slip on. Whichever style you select it is our mission, and our deeply held belief, that MULOs can truly help you step out into the world with style and confidence.